The General Land Office (GLO) website is a slow in pulling up map images so be patient. I have copies of the map images loaded here for a quick viewing. Map copies and deed papers can be purchased from the GLO online or in person. I have purchased several Peters Colony maps and other county maps and am extremely pleased with the quality of the image and paper. They are very helpful and friendly people. I would recommend you give them a visit if you are in Austin Texas, their offices is at 17th and Congress, Suite 130, the next building to the North of the Bob Bullock Museum. Map #1966 Centers on Denton County and includes portions of Collin, Cooke, Dallas, Grayson Tarrant, and Wise Counties. 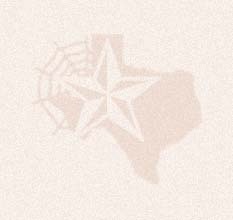 Certified on June 24, 1852 by Henry O. Hedgcoxe, Agent of the Texas Emigration Land Company. Conserved in 2004 with donation from the Denton County Historical Commission. General Features: Western part of Peters Colony centered on Palo Pinto County showing surveys, abandoned surveys, waterways, roads, surveying monuments, and connecting lines. Map #1969 Intended as a correction and part of the General Map of their surveys returned by said company to the General Land Office of the State of Texas on the tenth day of February, 1854. Map #3155 Lithograph with manuscript overlays. Drawn during time of a conflict between colonists and Henry O. Hedgcoxe, the land company agent, known as the Hedgcoxe War. Includes parts of Collin, Cooke, Dallas, Denton, Grayson, and Tarrant Counties. Comments: Adopted and conserved in 2006 by the Dallas Genealogical Society and Friends of the Texas General Land Office. Conserved in two pieces, 83007 the west part and 83008 the east part. See 1967 for digital composite.